"It's impossible that this is a coincidence." 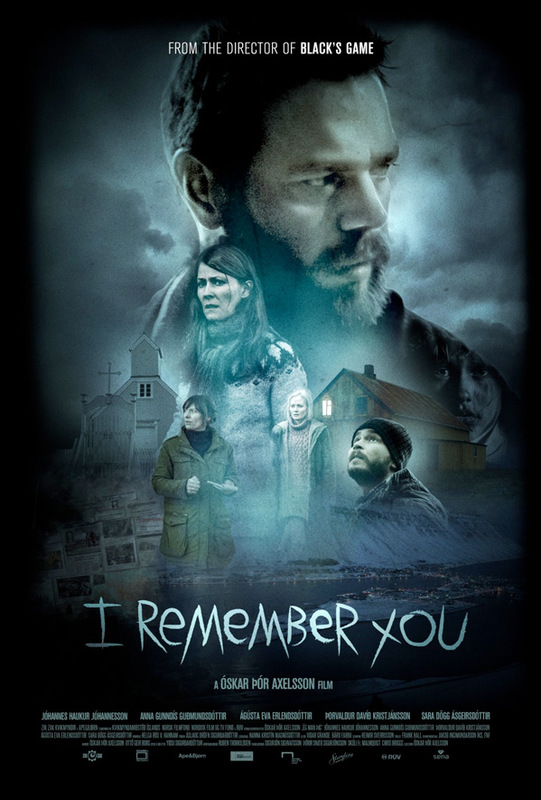 IFC Films has debuted an official US trailer for a horror thriller titled I Remember You from Iceland, about a young man and woman who move into a small abandoned town in Iceland to renovate an old house. Of course, this house has a dark past and things start to happen once they arrive. While this trailer is appropriately timed for the horror season this October, the film doesn't actually open until mid-November in America. This stars a fine set of Icelandic actors: Jóhannes Haukur Jóhannesson, Thor Kristjansson, Ágústa Eva Erlendsdóttir & Anna Gunndís Guðmundsdóttir. This looks like another good dark, freaky supernatural thriller with an Icelandic twist. Check it out below. An elderly woman hangs herself in a church. A grieving father searches for the truth about what happened to his missing son. And a trio of young city dwellers unleash a sinister force when they begin renovating a cursed home on a remote island. They don’t know it yet, but each of these strangers is connected by a disturbing, decades-old secret—a mystery that holds the key to a series of terrifying supernatural events. Based on the acclaimed novel by the “Queen of Icelandic Crime,” this atmospheric chiller is both a hair-raising ghost story and a powerful tale of life beyond death. I Remember You, originally Ég man þig in Icelandic, is directed by filmmaker Óskar Thór Axelsson, of the film Black's Game previously, as well as a few shorts and episodes of "Trapped". The screenplay is written by Óskar Thór Axelsson and Ottó Geir Borg; adapted from Yrsa Sigurðardóttir's novel. This already opened in Iceland back in May. IFC Midnight will release I Remember You in select theaters + on VOD starting November 10th this fall. Anyone interested?